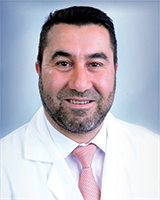 Ameer Almullahassani, M.D., neurologist, has joined the NorthBay Medical Group in Fairfield. He earned his medical degree from the Damascus University School of Medicine in Syria. He completed his internship in internal medicine at Atlantic City Medical Center in New Jersey and a residency in neurology and a fellowship in neurophysiology and neurology at The University of Texas and MD Anderson Cancer Center in Houston. Herkanwal Singh Khaira, M.D., urologist, has joined the NorthBay Medical Group in Fairfield. 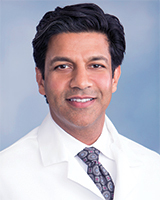 Dr. Kharia earned his medical degree from the University of Southern California in Los Angeles. He completed his internship at the University of Michigan Medical Center in Ann Arbor, and a fellowship in urology at The Royal Melbourne Hospital in Australia. He is board-certified in urology. Dr. Khaira cares for children and adults, both men and women. 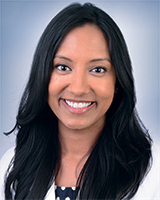 Nazia Hasan, M.D., interventional gastroenterologist, has joined the NorthBay Medical Group in Fairfield. Dr. Hasan earned her medical degree from George Washington University School of Medicine and Health Sciences, and completed her internship, residency and fellowship training in gastroenterology at New York University School of Medicine. She then completed an advanced endo-scopy fellowship at Harvard Medical School in Boston.